This year, the Tri-Eastern Conference will have the honor of playing a weekend of regular season games at Ball State University on Friday August 24th and Saturday, August 25th. Pre-sale tickets are now on sale in the KHS Athletic Office. Sports passes will NOT be accepted, even though this is technically a Knightstown home game. 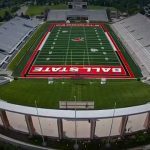 This year, the Tri-Eastern Conference will have the honor of playing a weekend of regular season games at Ball State University on Friday August 24th and Saturday, August 25th. 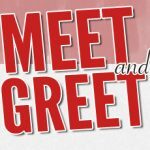 Pre-sale tickets are now on sale in the KHS Athletic Office both during registration the next two days, and during regular school hours once school begins. 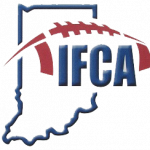 The IFCA recently released the IFCA Academic All-State award winners. 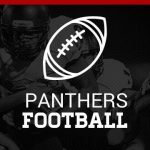 Four Knightstown High School Football players earned this honor. Congratulations to: Garrett Thomas Tucker Personett Mason Carmichael Kyle Mattix Congratulations on a job well done, in and out of the classroom! Friday, October 13, 2017 7:00 PM Heritage Christian Schools Inc AWAY 55 Knightstown High School HOME 14 Game Recap Heritage Christian was a very talented football team in every aspect of the game. The Panthers played with class and a lot of heart all night long. Friday, September 22, 2017 7:00 PM Knightstown High School AWAY 7 Shenandoah High School HOME 43 Game Recap The Raiders played a very tough and well played game tonight. Panthers made way to many mistakes on the night, and couldn’t overcome the setbacks.